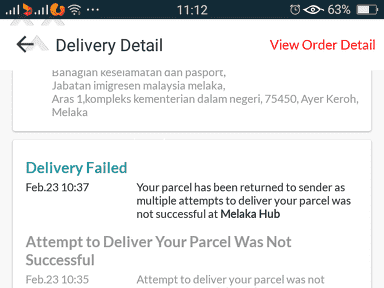 Lazada Malaysia - LAZADA THE WORST ONLINE SHOPPING PLATFORM WHEN COME TO SHIPPING/DELIVERY . 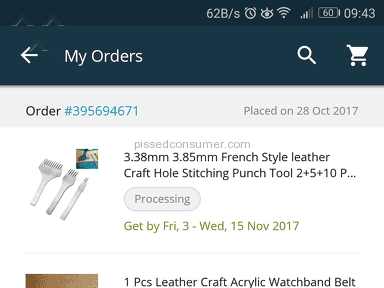 I submitted order with payment on 2nd February 2019 and i aware of long holiday because of CNY Festival. 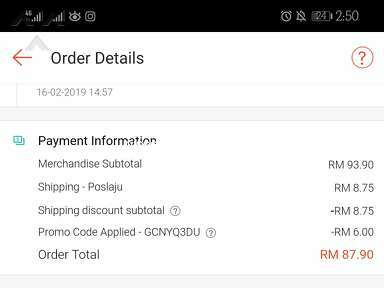 On 9th Feb 2019 i asking seller when they will ship my order, the seller respond and said they will ship my order on 11st Feb 2019. 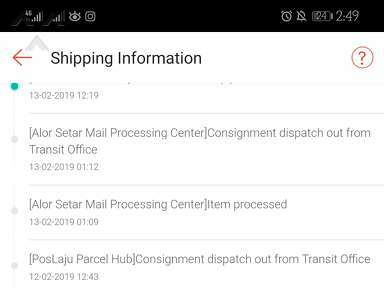 On 12th Feb 2019 once again i asking seller whether my order already ship out and tracking number? 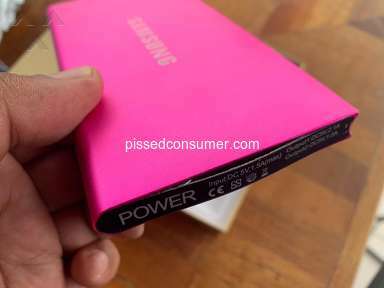 The seller NOT RESPONDING. So i asking the customer service whether my order ship out or not. And guest what LAZADA? My order will ship out on 16th Feb 2019. Well in the same time my order from SHOPEE with same date i order from LAZADA already received even one of the order DIRECTLY FROM CHINA. 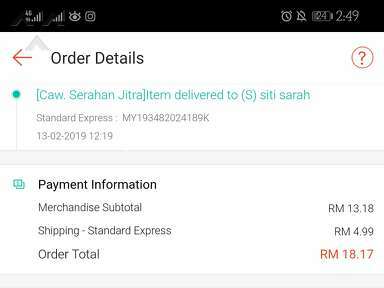 On 16th Feb 2019 once again i reach out the Customer service asking about my order.. And once again.. Suprise.. Suprise.. The order still stagnant and i cant cancel the order even the parcel not ship out. I only can decline when the parcel deliver to me by delivery company. 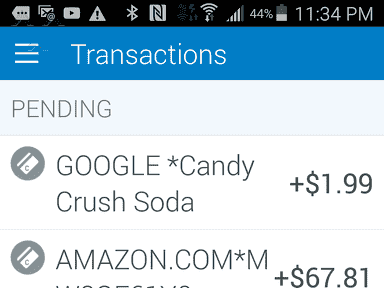 So i need to waste more time waiting my order and decline it. 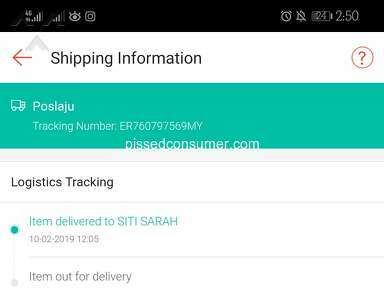 And waste my time again to wait REFUND from LAZADA. Oh ya LAZADA it's REALLY "GOOD MOVE". 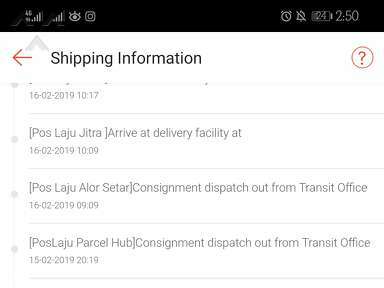 And when I asking whether LAZADA can do anything, the answer is I NEED TO CONTACT THE SHIPPING COMPANY. So LAZADA STUPID MANAGEMENT that make the policies about shipping dont have any power to straight up the SHIPPING POLICIES. Quite interesting to know that. 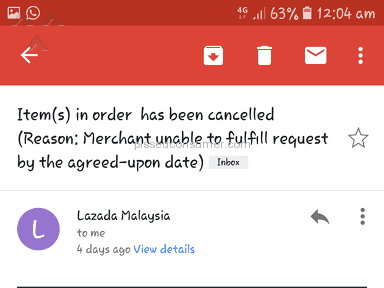 This the last time I buy something from lazada. SHOPEE WAY MORE BETTER THAT LAZADA COMPARE THE PRICE AND SHIPPING RULES. 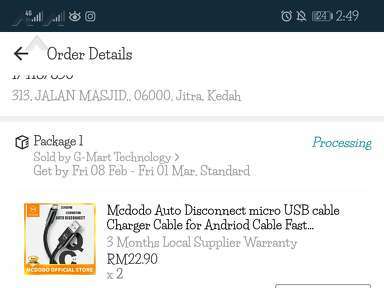 TQ LAZADA FOR THIS STUPID POLICIES. I REALLY "LOVE" THE WAY U HANDLE THE SHIPPING PROBLEM. 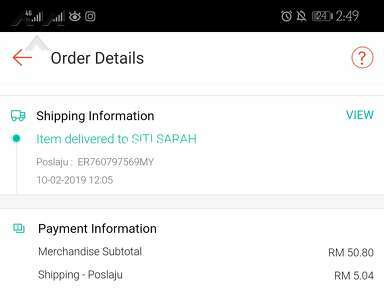 NOTE : my order from Shopee that I submitted on 14Th of February 2019 already got it yesterday but order from LAZADA??? Maybe end of the world I will get my order. I liked: Diversity of goods for sale, Voucher during order, Timely delivery, Selection and price. I didn't like: Poor response time, Hide bad reviews to protect scammers, Payment made item missing, Poor customer service. Review #1473963 is a subjective opinion of OrderlyBat. 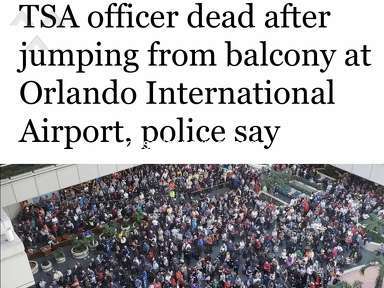 God does not like Malaysia. After i post complaint here and share link to their customer service, within 2 days i got my order.